There are alot of shops, eateries, and even a NTUC @ T3. 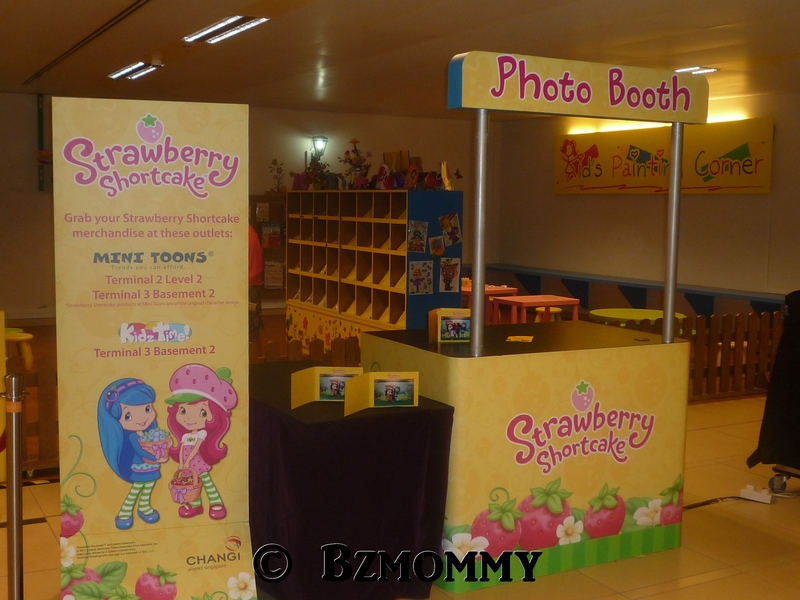 There’s also a playgound, Singkids & a Slide that is free for play! 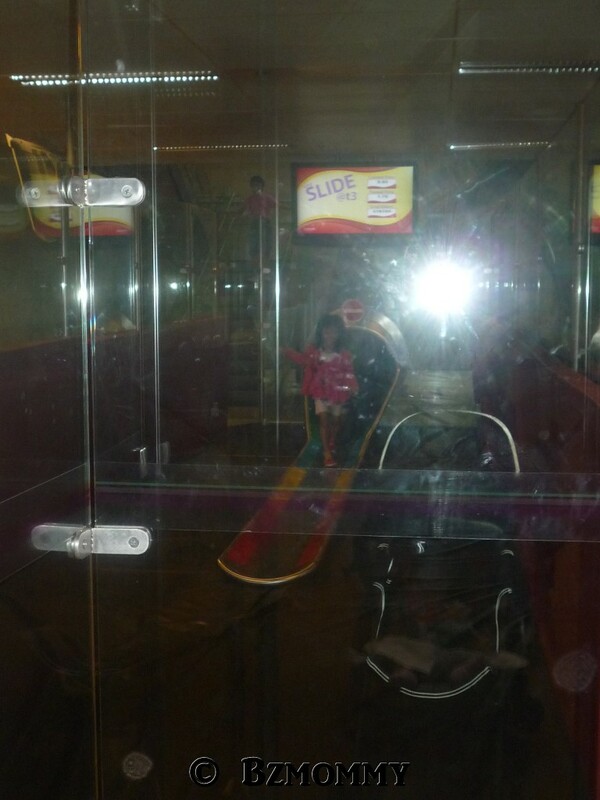 We brought Dawn there over the weekend because of Strawberry Shortcake, and she discover the fun Slide! 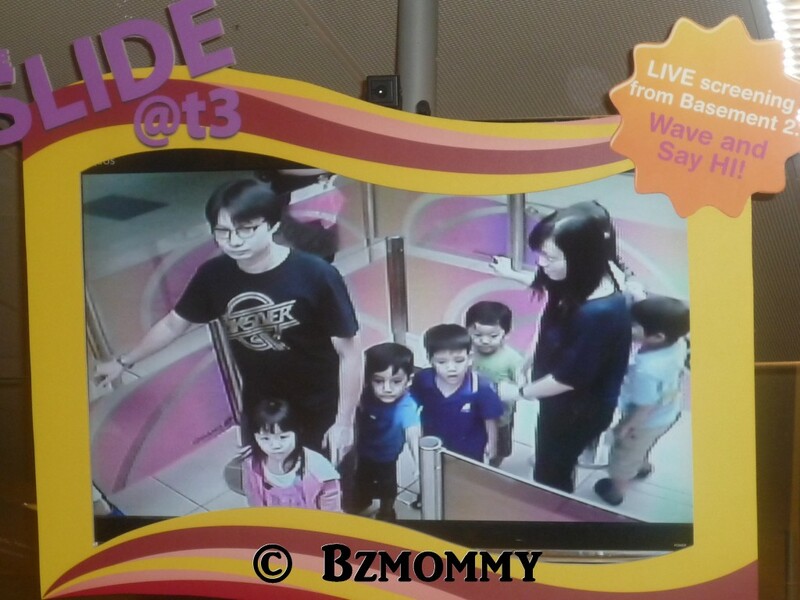 At B2 where it’s the end of the slide, there are TV screens and cameras to see your child who is queuing at B1 for his/her turn. And so Dawn went for a few rounds of the slide while waiting for the Strawberry Shortcake ticket. 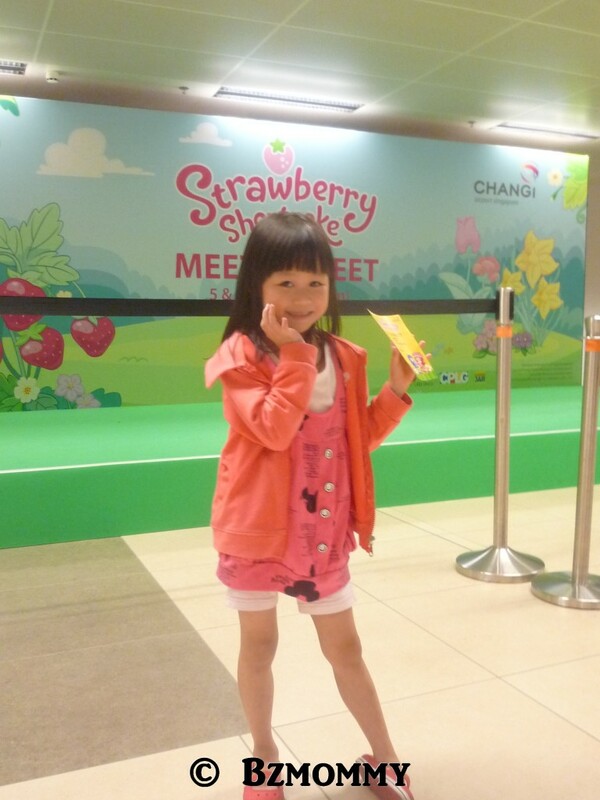 There’s a Meet & Greet Session every start of the month organised by Changi Airport and this month, it’s Strawberry Shortcake! Still remember Dawn’s 4th year old birthday? 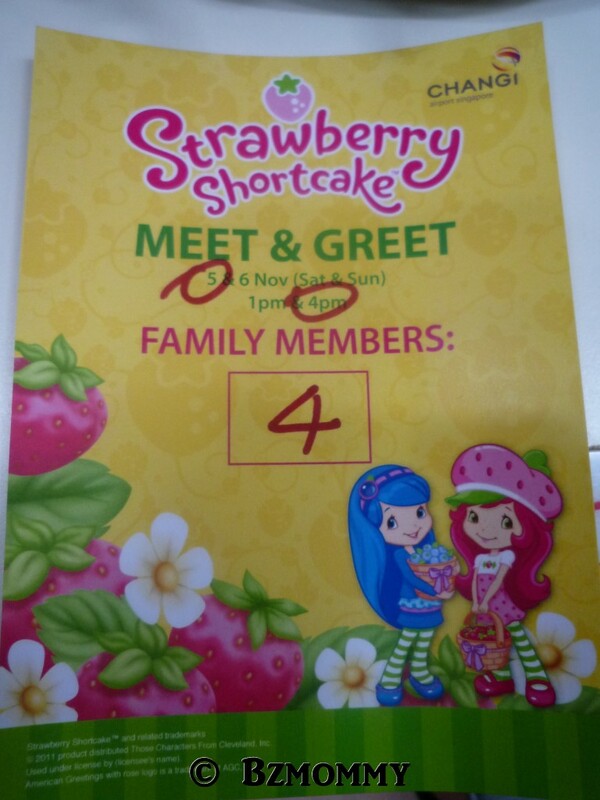 She just love the pink girl lo..
Daddy & Dawn were the 1st in the line…and people started to form the queue behind them..
And this is the pass, which guarantee for 2 photo shoot + printout! 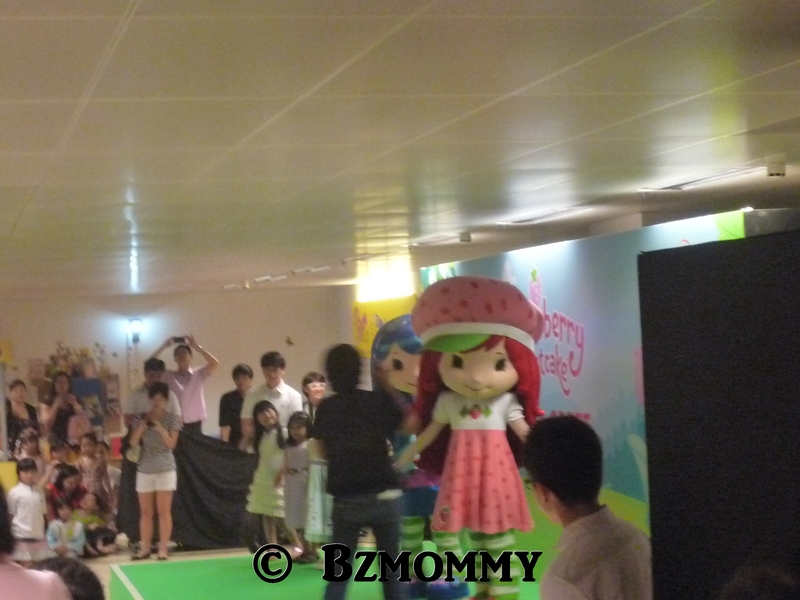 Before the photoshoot, the emcee did some dancing exercise to warm up the kids..because we went for coffee after we got the pass, Dawn was not able to go into the watching area (which is so small crowded with parents -.-). And so 伟大 daddy sat Dawn on his shoulders through out the dance. 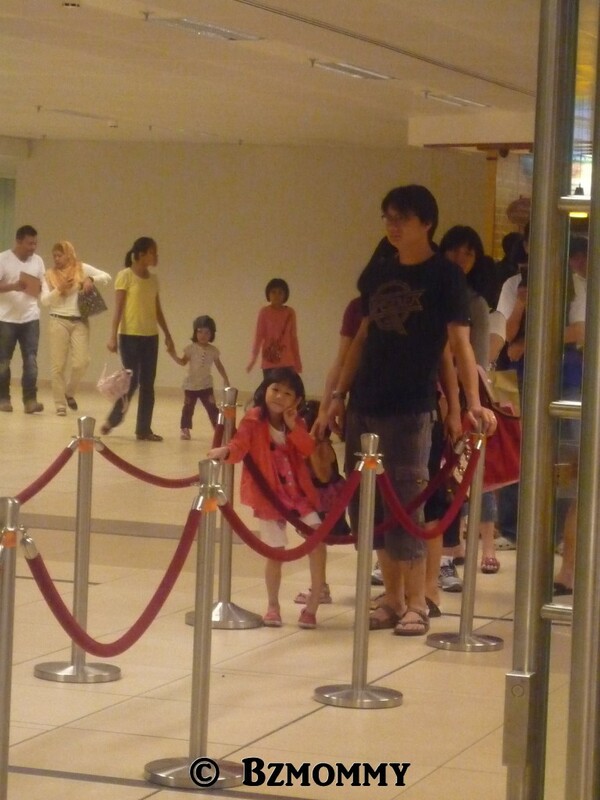 Spot the girl in red! There they are! Strawberry Shortcake & Blueberry! Waiting for her turn for the photo shoot..see how smiley she was! Mummy : You like Blueberry more? Dawn : NO! 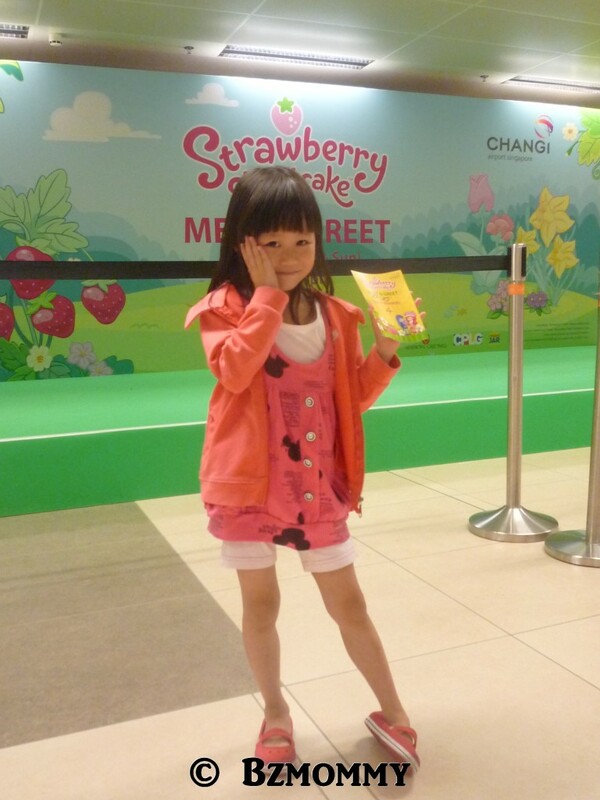 Like Strawberry more! 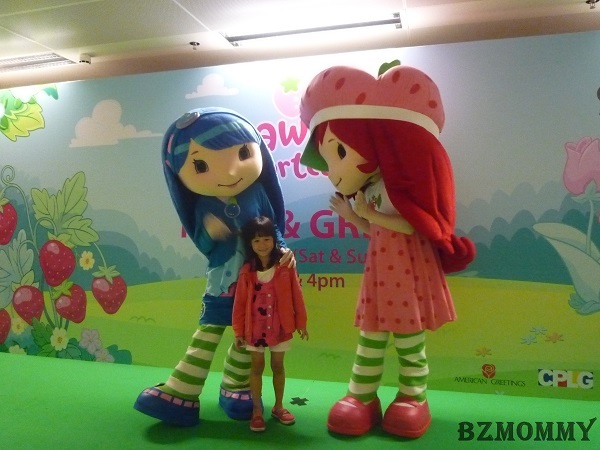 Mummy : Then how come you are hugging Blueberry and not Strawberry? Guess she was so excited that she forgot what she wants to do! I asked her to pose with her pass before we have to return it to exchange for the photos, and she posed! 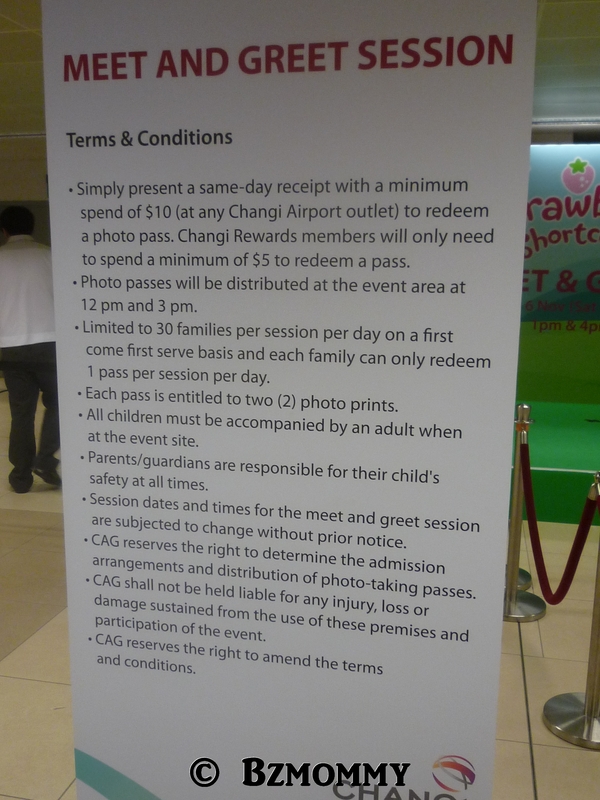 By the way, the 2 photo-prints taken by their photographer comes with NO CHARGE! 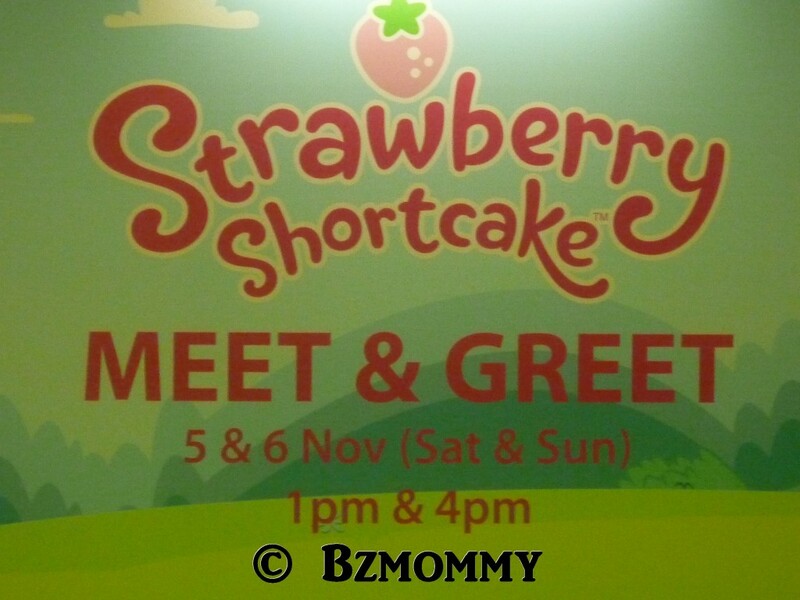 This is the 1st meet and greet which gives free print and 2 photo-taking! 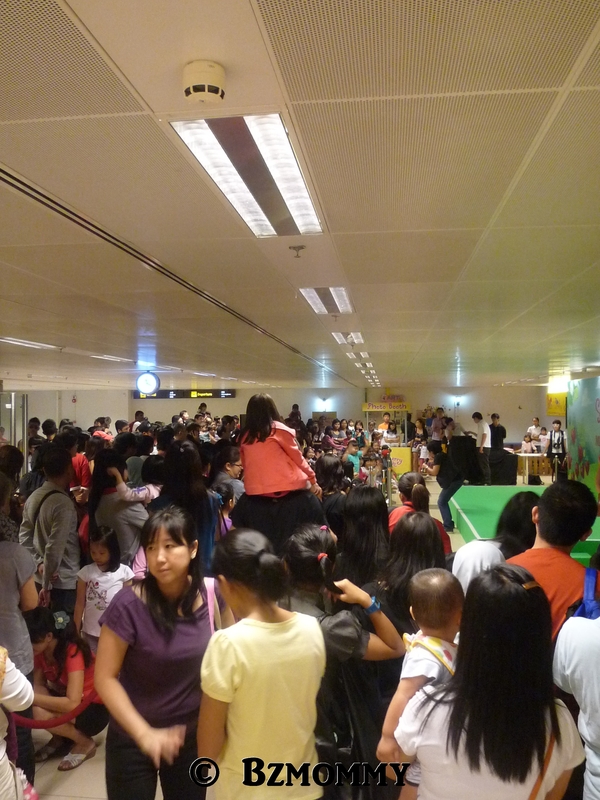 Way to go Changi Airport! 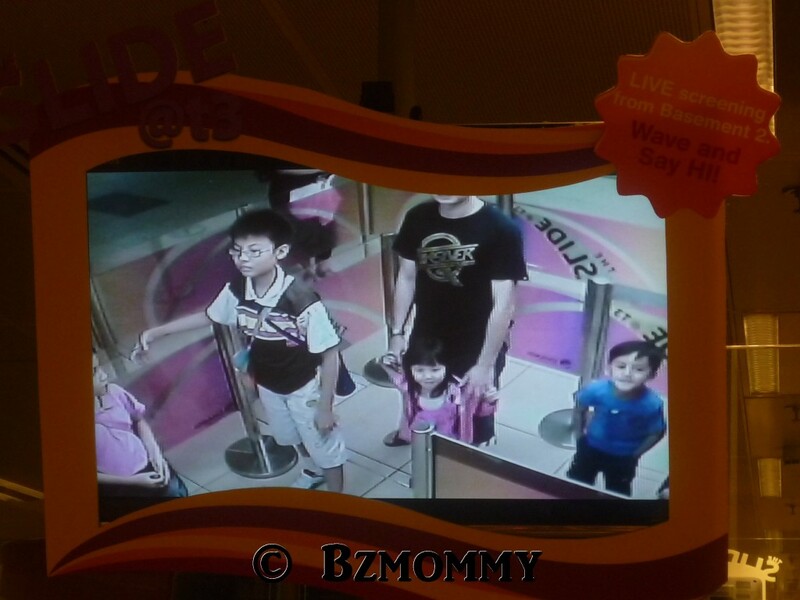 This entry was posted in Bzmommyhood, Dawn, Fun! 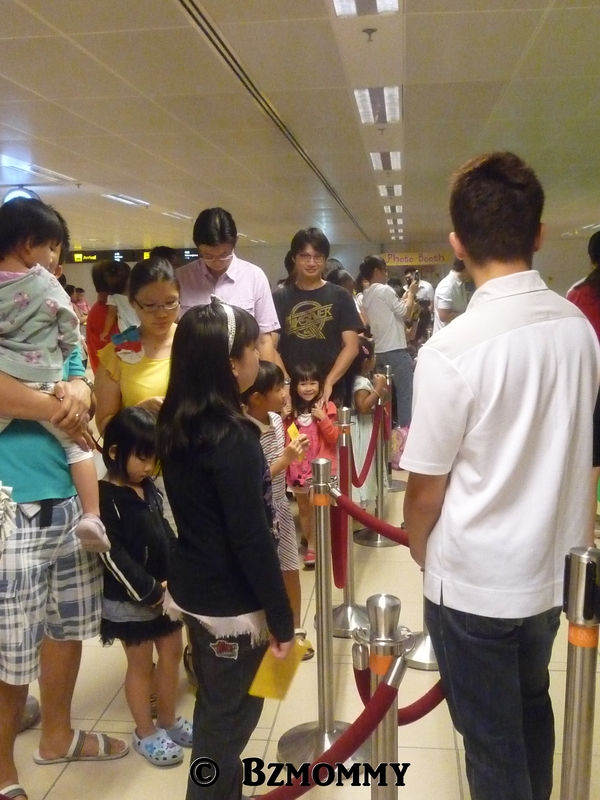 and tagged Dawn, Kids-Friendly Activities, Meet & Greet.